When marriage joins two families, what happens to the spouses' estates? Take these steps to help minimize any potential issues. Estate planning is an important step for any family, but it can be a touchy subject. 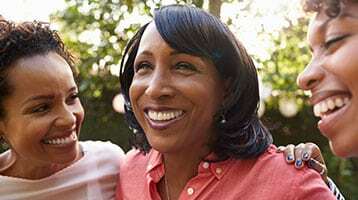 For blended families—families where one or both spouses bring children into the new relationship—conversations about wealth transfer planning can be even more complex. Despite the complexity, the conversation is crucial for both spouses and children. To help make the process easier, Katie Kellen, Senior Vice President – Wealth Advisor at Wells Fargo Private Bank, shares some do’s and don’ts to guide your planning. DON’T make estate planning one spouse’s project. DO commit to honest, open communication. “Spouses in blended families can be reluctant to approach the subject of estate planning,” says Kellen, “but they need to explore this subject together for the benefit of the others involved.” To that end, Kellen recommends that spouses discuss the issues thoroughly before bringing kids into the conversation. DON’T think it’s all about the money. DO review your current planning documents. Examine what’s already in place for each spouse. You may be surprised that wills, life insurance policies, retirement plans, or other items include former spouses or information that you’ll need to update. A conversation with your advisors at Wells Fargo Private Bank and your tax and legal advisors can help you determine how to address changes so that you have the appropriate wealth transfer tactics in place for your needs. DON’T keep the plan to yourself. Share your intentions with your children so they’re not surprised in the middle of any unexpected and stressful life event. Managing expectations can help smooth potential issues with family dynamics down the line. If you are not comfortable sharing your overall net worth, you may want to start by sharing the structure and reason behind the plan but not necessarily the actual assets at the first meeting. DO make the decision that’s right for you. Should all kids get the same slice, regardless of bloodline? How do kids’ special needs or individual circumstances come into play? If the spouses enter the marriage from different financial levels, what does that mean for the children? There are many legitimate ways to divide your assets; the key is to choose a model that works for you and your new spouse. In addition, don’t forget to include family heirlooms and items of sentimental value. DON’T construct a plan and then forget about it. Estate plans are not one-time exercises. Kellen recommends that you regularly review plans over time, and especially as legislation and family changes take place. DO call in some help. Your financial professional can help facilitate this complex discussion. “Sometimes, we can give couples a few simple questions to discuss together over a few weeks,” Kellen explains. The conversations that take place can become the basis for a full estate plan. Consider introducing your children to your wealth team at this point, too. “Making sure the beneficiaries know who we are and are comfortable with us becomes very helpful in the future,” Kellen says. Learn more about planning your estate in Wealth Transfer Essentials e-book. Learn how trusts may be helpful wealth-transfer tools for both taxable and nontaxable estates. When loved ones pass away, it can be hard to focus on what you need to do in settling the estate. You can find help in our Estate Settlement Essentials e-book. Learn about important factors to consider in wealth transfer planning.